Example of spring boot common dbcp2 connection pool example. dbcp2 (Data Base Connection Pooling) is a very popular library to manage the connection pool, dbcp2 is the project of apache. Let’s try to understand requirements of connection pooling in simple words, To communicate with the database requires the database connection and create the connection with the database is heavy operation. While performing each operation requires to open connection and after perform, database operation closes the connection but this process will take too much time for opening and closing connection every database operations. To solve this issue database connection pooling is used. The connection pool can maintain multiple connections with the database when the demand of Connection object at that time return object from the pool instead of creating a new connection every time. 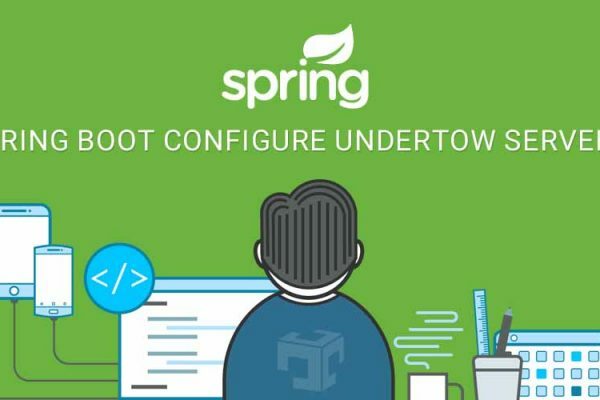 So now let’s try to understand how to configure dbcp2 connection pooling with spring boot application. This is the complete example of Spring boot DBCP2 with MySQL. 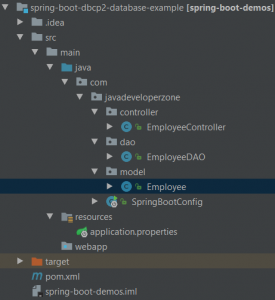 Here is spring boo main class, In command like runner we have checked that which connection pool has been used by Spring boot. Here it will print org.apache.commons.dbcp2.BasicDataSource which means that spring boot is using DBCP instead of tomcat connection pooling. Here Connection Polling datasource : [email protected] is printed which means at data source is managed by DBCP connection pooling. In this example, we have seen that how we can configure DBCP with spring boot application, We have used MySQL and Tomcat as a web server in above example and also seen that how the connection pool will help us reduce main connection with database which help us to improve performance of application in context of database communicate.